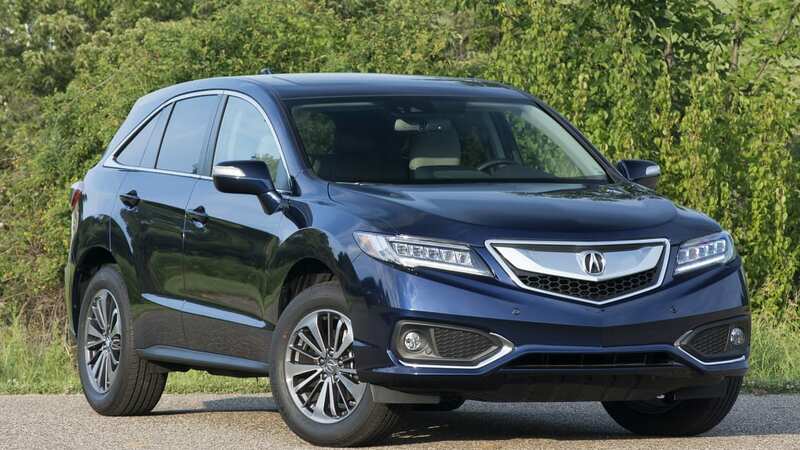 Autoblog rating for the Acura RDX is not available. Please check back later. 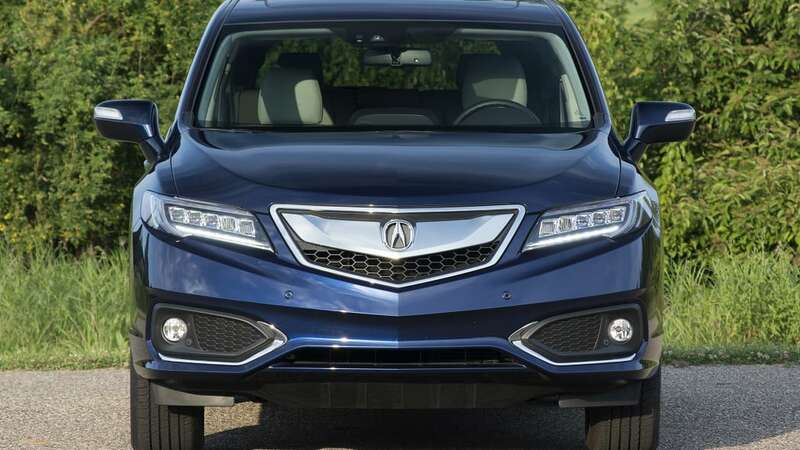 Acura is deeply confused as a brand. Is it sporty or luxurious? Conservative or avant garde? Truly premium, or just premium for Honda? 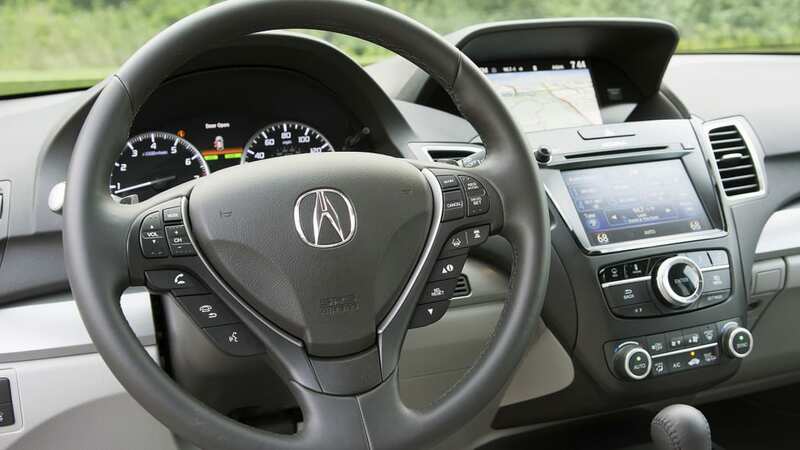 At its heart, there is a simple truth: despite confused characters, Acura vehicles are usually very competent. The new TLX, for example, is a smart, comfortable, near-premium sedan. The new ILX, meanwhile, is a huge improvement over its predecessor, and finally feels like the entry-level, premium four-door stepping stone Acura needs. Then there's the RDX. 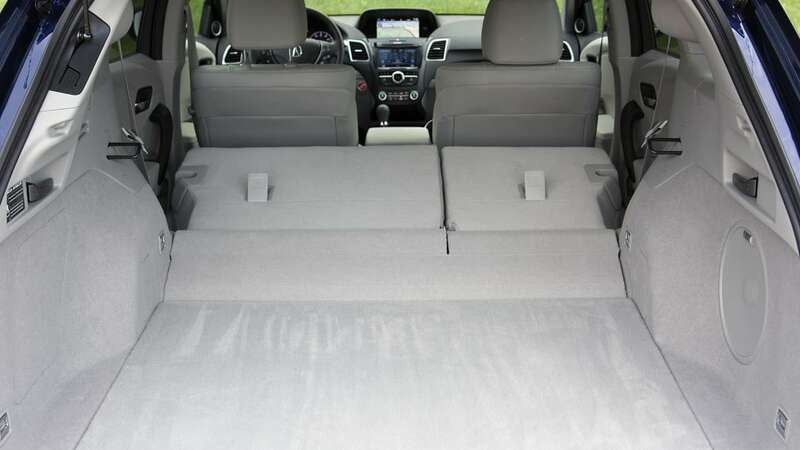 Placed in a very hot segment, the Honda CR-V-based crossover never quite caught on. For its first six years on the market, it couldn't even break 25,000 annual sales. 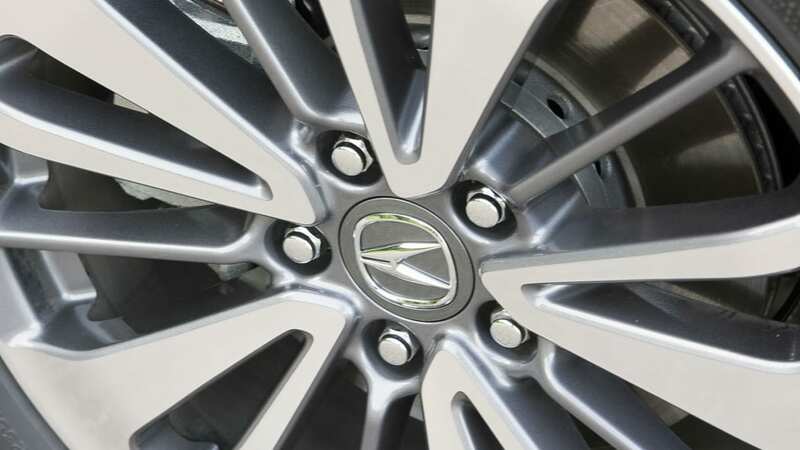 The more mainstream redesign in 2013 made some waves, nearly doubling sales, but Acura still fell way behind the competition. 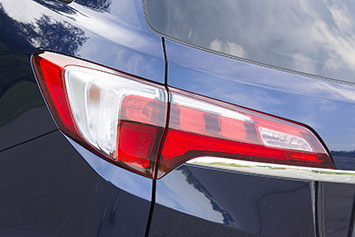 In 2014, the Lexus RX outsold the RDX nearly three to one. 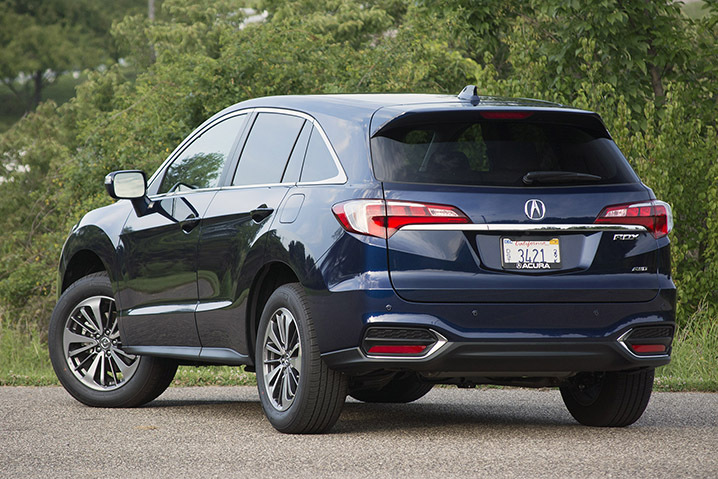 For 2016, the RDX gets a substantial refresh. 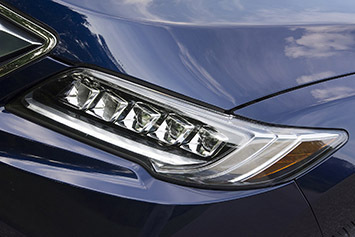 The biggest visual update comes from Acura's polarizing, JewelEye LED headlights, which are standard. 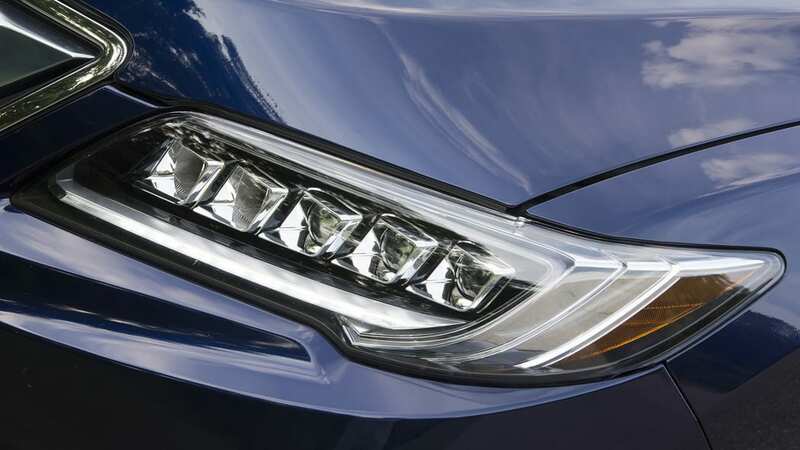 These aren't the best looking headlights on the market, but the many 'eyes' are better executed on the RDX than any other Acura. 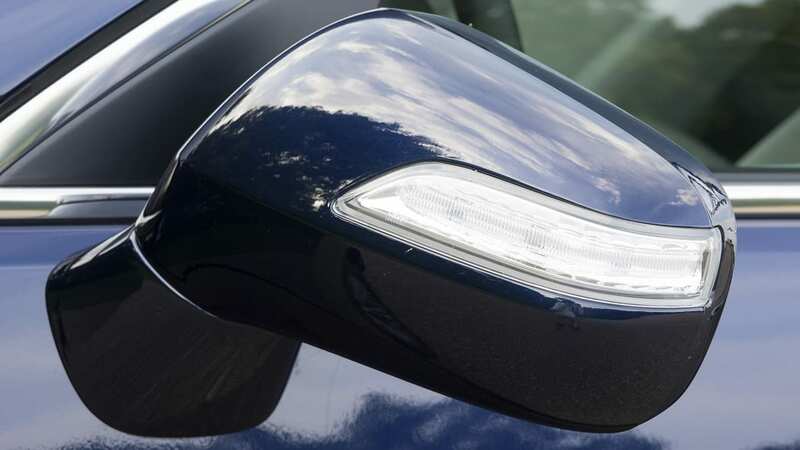 The LED daytime running lights round out a nice face during light hours, too. More subtle tweaks are given to the bumpers, with larger intakes in front and bigger reflector housings around back. The seats are broad, flat, and comfortable. The big change in the cabin cannot, sadly, be called an improvement. 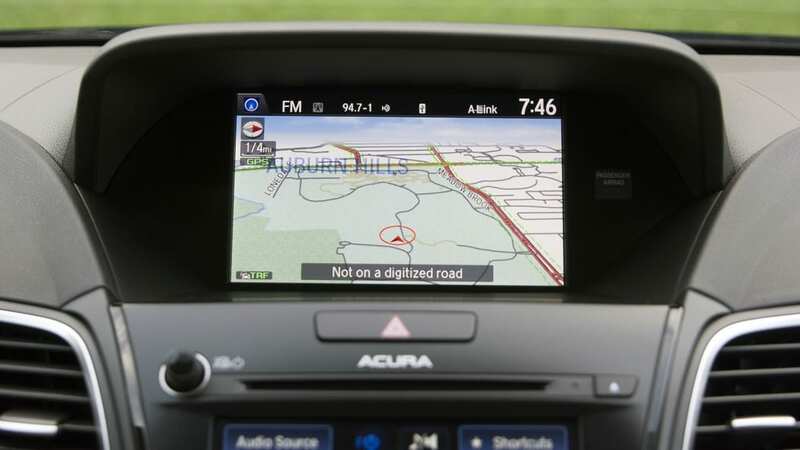 It's the addition of the Honda/Acura dual-screen system, and while it gives the interior a techy vibe, the user experience is convoluted and unintuitive. The rest of the cabin's design, however, is easy to like. Material quality is adequate for the segment. 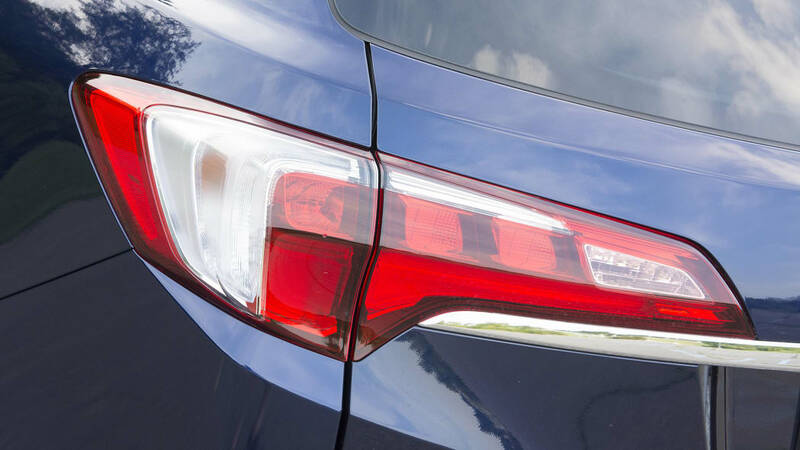 Plastics are abundant, but are soft to the touch, while fit is impressive and typically Honda throughout. The steering wheel is a parts shelf item and feels just a bit too large for a crossover of this size. 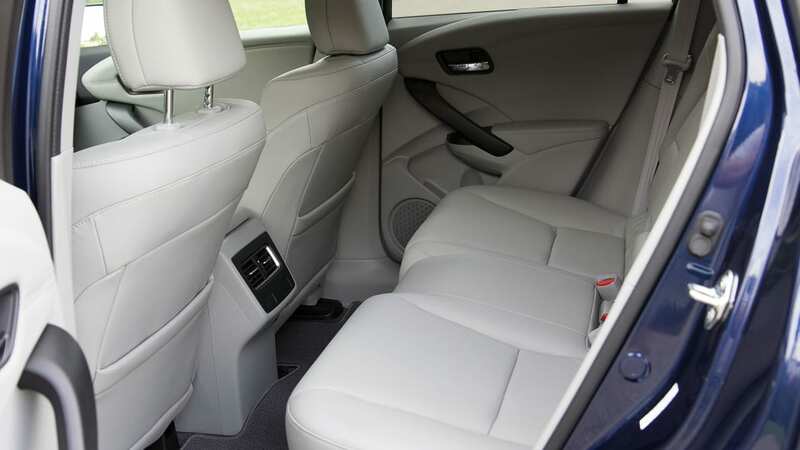 The seats are broad, flat, and comfortable, and backseat passengers are treated quite well. 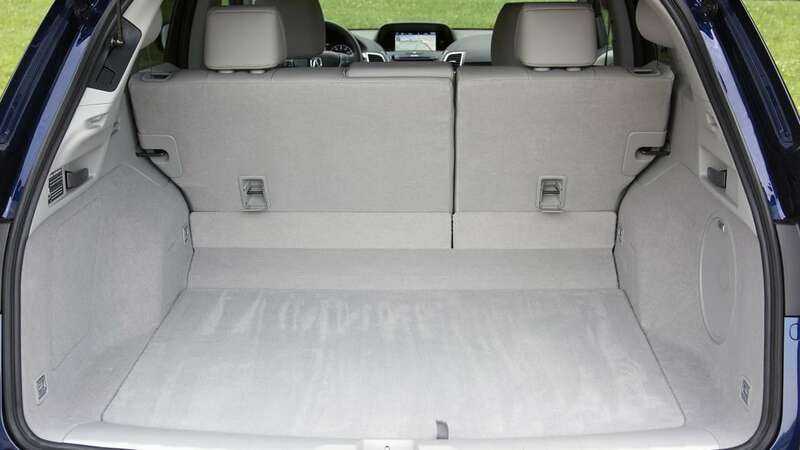 Even with the driver's seat set for your six-foot, one-inch author, there's plenty of space in back, especially for long-legged folks. 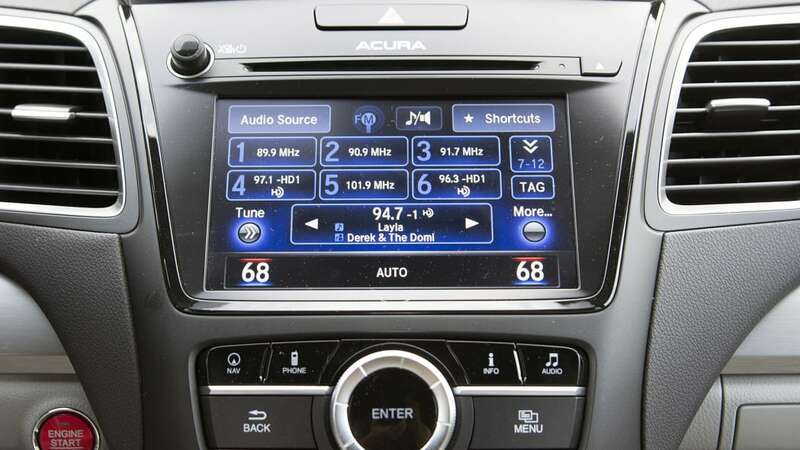 Small changes are found under the RDX's hood, where the 3.5-liter i-VTEC V6 gains six horsepower and one pound-foot of torque. 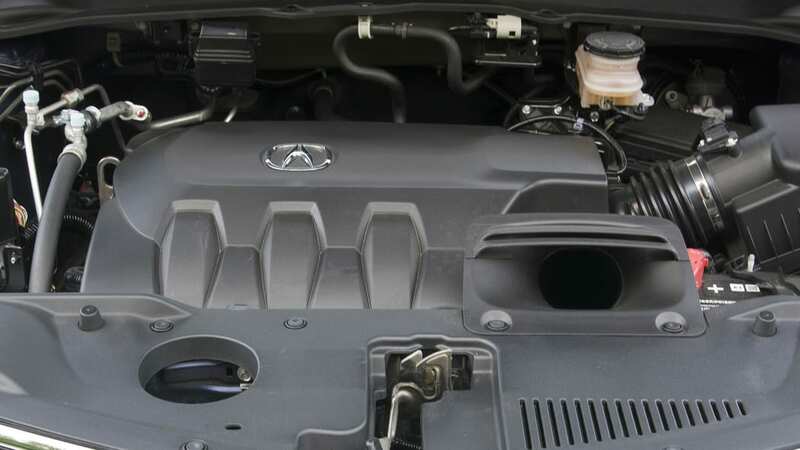 Small changes are found under the RDX's hood, where the 3.5-liter i-VTEC V6 gains six horsepower and one pound-foot of torque. What hasn't changed, however, is this engine's general character. This V6, while not a member of Honda's excellent Earth Dreams family, is a smooth, refined operator. Its muted note is luxurious, but at the same time, it's very easy to access the engine's linear powerband. New front and rear engine mounts bolster this engine's already impressive noise, vibration, and harshness characteristics. But the RDX doesn't feel powerful. The 279 horsepower and 252 pound-feet of torque are tasked with hauling nearly 4,000 pounds of Japanese crossover. 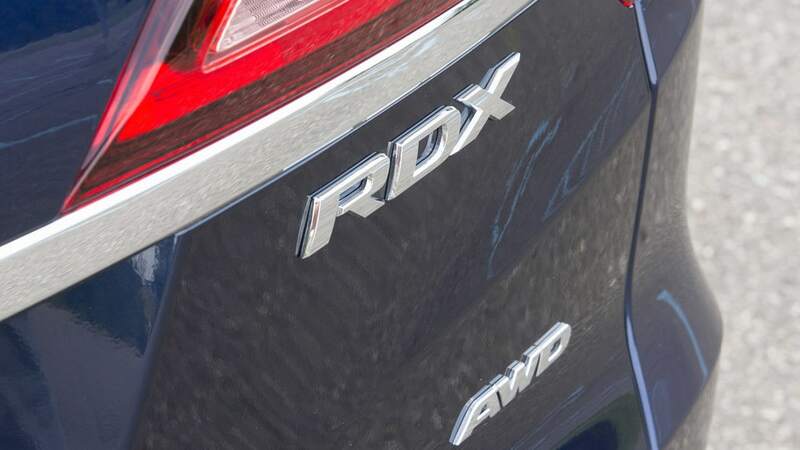 Sure, the RDX is lighter than a lot of competitors, but it lacks power and especially torque. 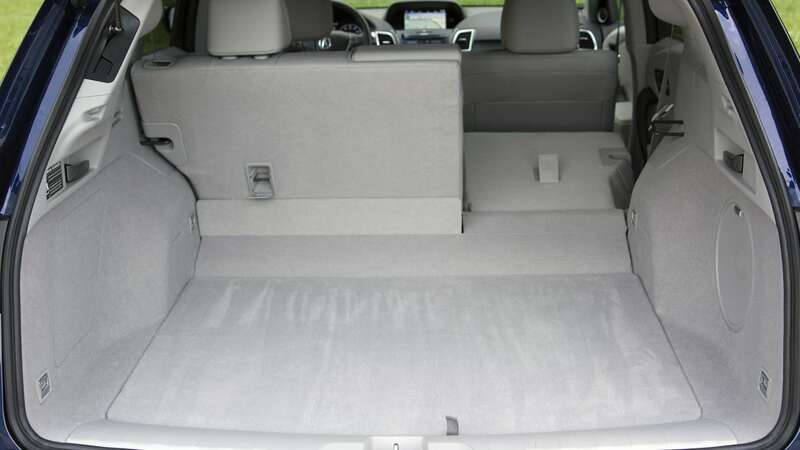 A BMW X3 xDrive35i, for example, offers up 300 lb-ft from 1,300 to 5,000 rpm. 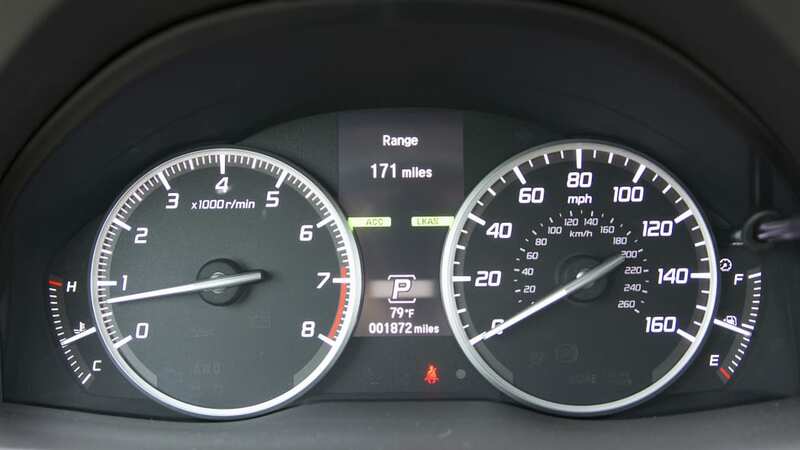 The Audi Q5 3.0 TFSI makes 295 at 2,150 rpm. This shows on the stopwatch, where both the BMW and Audi are indeed quicker. 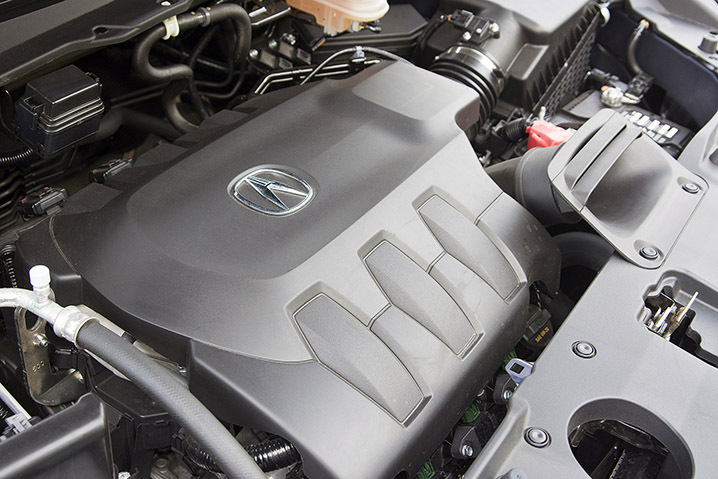 The 3.5-liter V6 is the RDX's only engine. 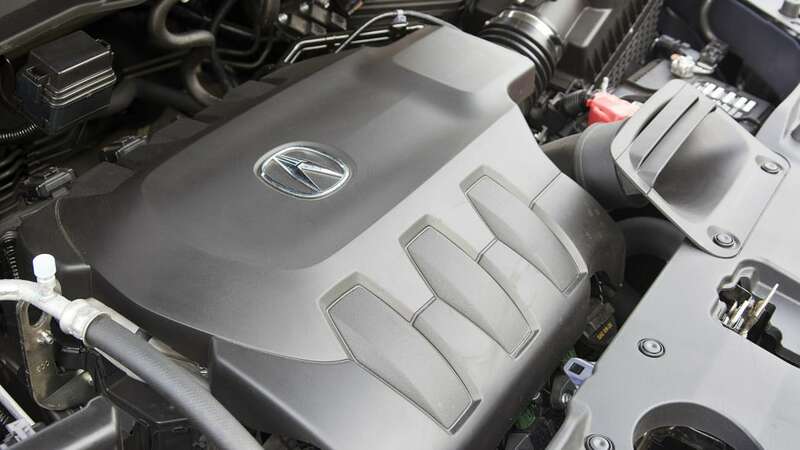 For better or worse, the 3.5-liter V6 is the RDX's only engine – getting six-pot power requires expensive upgrades with Audi and BMW. 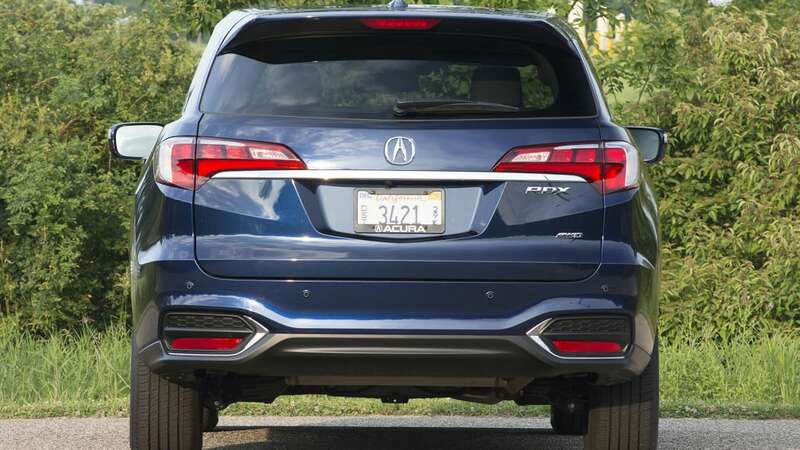 Thus, the Acura more directly compares with 2.0-liter, turbocharged versions of the X3 and Q5, not to mention the segment's other naturally aspirated competitors, like the Mercedes-Benz GLK350 (for now) and Cadillac SRX. We're certain the RDX could trump the Lexus RX 350 in the quickness department, too. With the help of active cylinder management, the 2016 RDX AWD is said to return 19 miles per gallon in the city and 28 mpg in the city. Our final tally of 20.5 miles per gallon isn't a huge surprise, considering we logged mostly city miles. 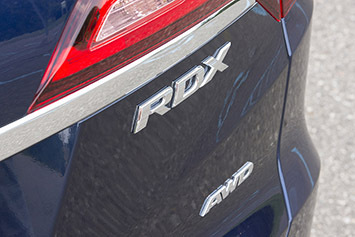 The front-wheel-drive RDX improves the EPA-rated economy figures to 20/29 mpg city/highway. 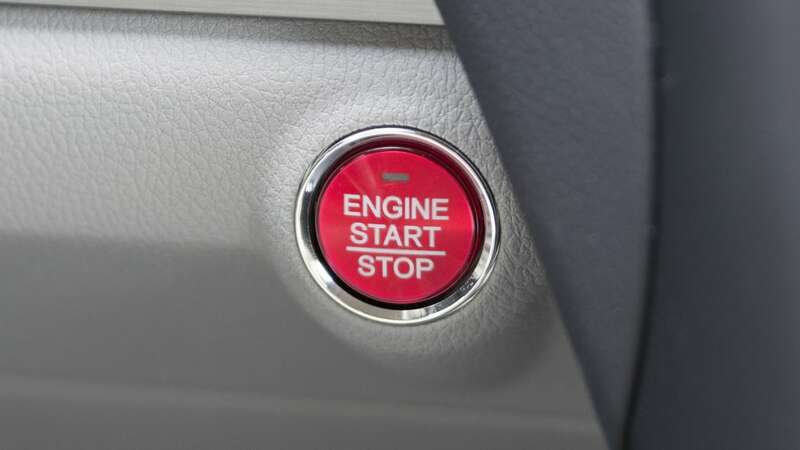 The six-speed automatic favors smoothness over speed, and downshifts require some hunting. 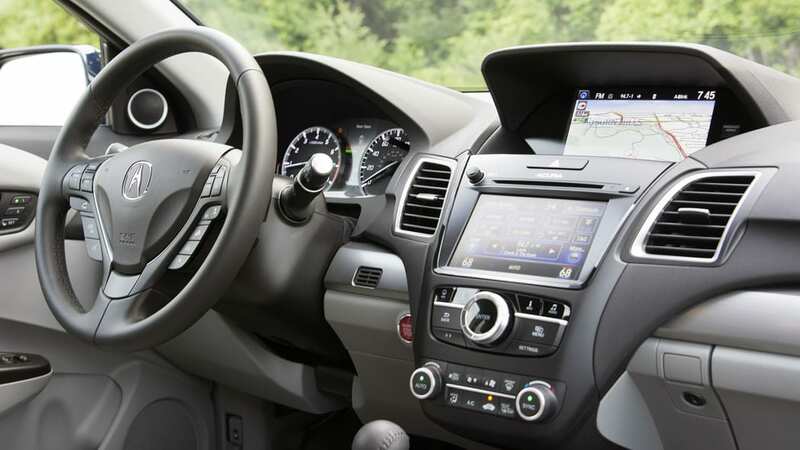 There is a manual mode with steering wheel-mounted paddle shifters, but it doesn't have a huge impact on upshift or downshift speeds. We do like the solid, satisfying sensation when slotting the shift lever into gear. It's a little thing, sure, but gives a real sense of quality. This is a comfortable cruiser, able to soak up bumps and impacts with little issue. Both front- and all-wheel drive are available. 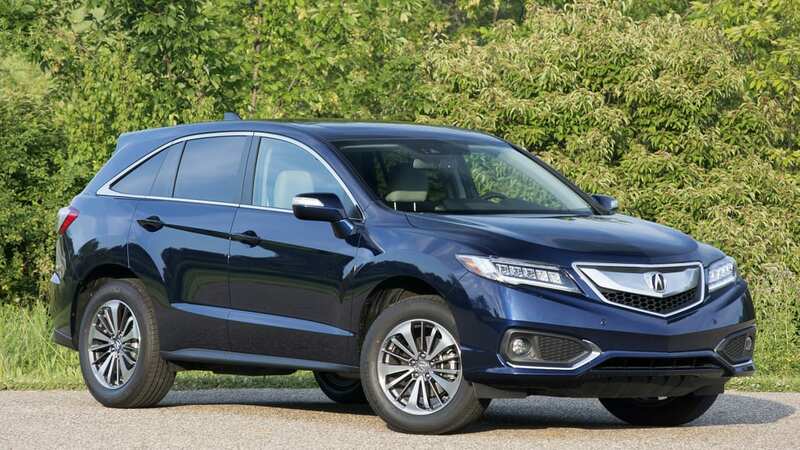 That latter feature is not Acura's excellent Super Handling All-Wheel Drive system, but is instead listed as "All-Wheel Drive with Intelligent Control." 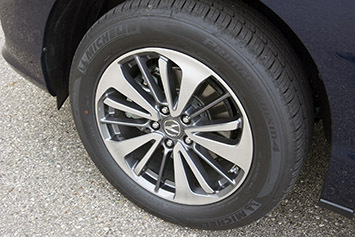 The system sends all the engine's torque to the front wheels in straight-on cruising, and if any wheel slippage is detected, power can be split evenly, aiding driver confidence in slippery situations. The AWD will also adjust itself in dry conditions, with up to 40 percent of power being sent rearward as needed, say, during hard launches. Suspension components carry over unchanged, including amplitude reactive dampers, front MacPherson struts, a multi-link, independent rear suspension, and standard 18-inch wheels. That's just fine – this is a comfortable cruiser, able to soak up bumps and impacts with little issue. The ride quality is lovely – quiet, too. Our tester's 235/60-series Michelin Primacy MXM4 tires are more compliant than the sportier, 45-series rubber offered on the BMW X3 and Audi Q5. 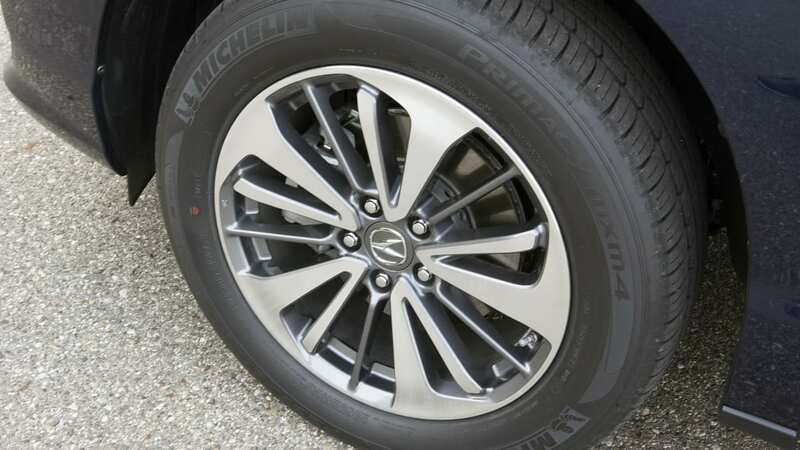 Even the new Lexus RX uses a more aggressive setup, with 55-series 19-inch wheels on the F-Sport. Part of acknowledging the general goodness of the RDX is divorcing it from the increasingly popular idea of the sporty crossover. Overall, the RDX doesn't feel quite as sharp as its German competition. 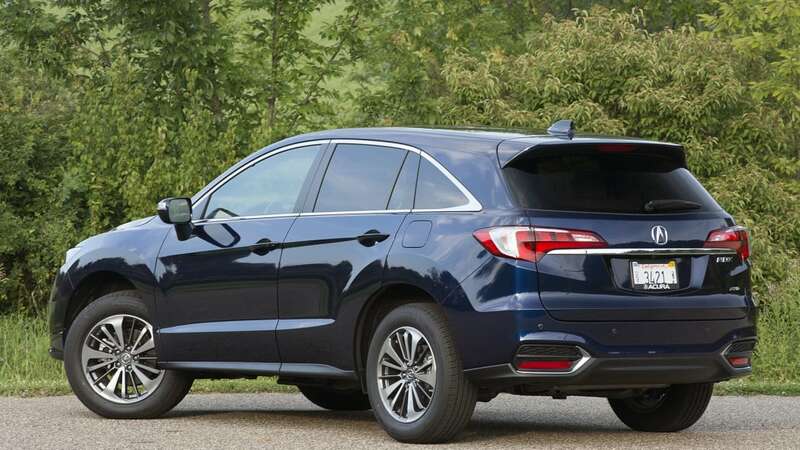 Much like the CR-V on which it's based, the RDX feels very disconnected, both through the steering and the chassis. We aren't asking for low-profile rubber or anything like that, but something to better communicate road feel to the driver would be nice. 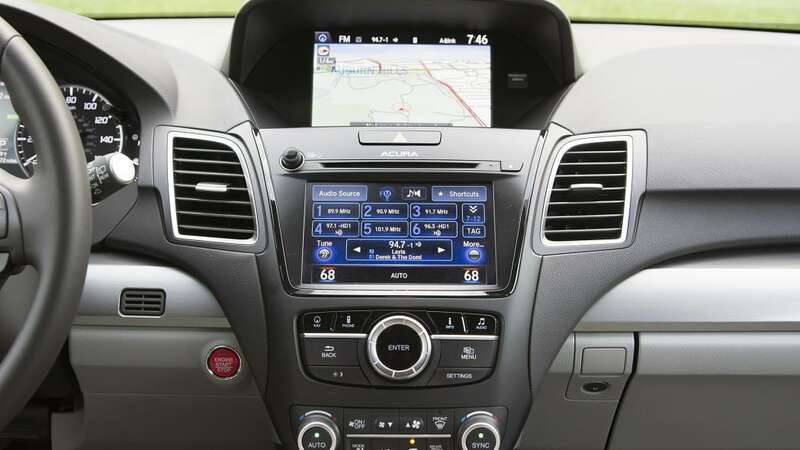 There are four trim levels to choose from – RDX with AcuraWatch Plus, RDX with Technology Package, a combo of those two, and the top-of-the-line Advance, which we have here. Prices start as low as $36,190 with front-wheel drive, including $920 for destination, while our loaded AWD tester costs $44,340. 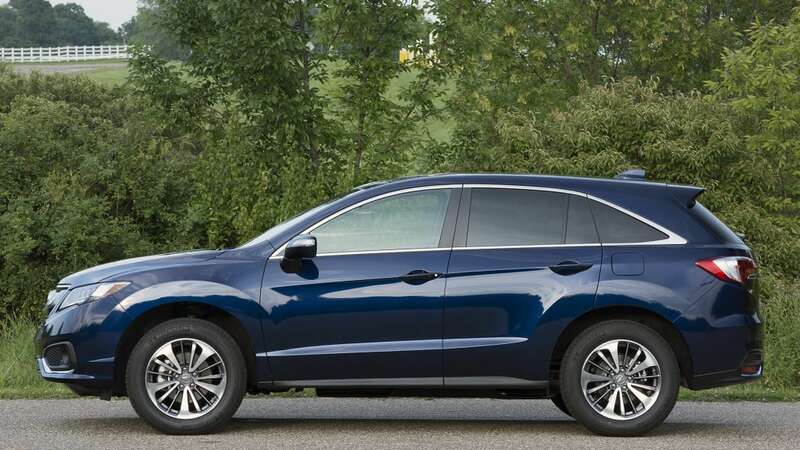 Part of acknowledging the general goodness of the RDX is divorcing it from the increasingly popular idea of the sporty crossover, like the German set. 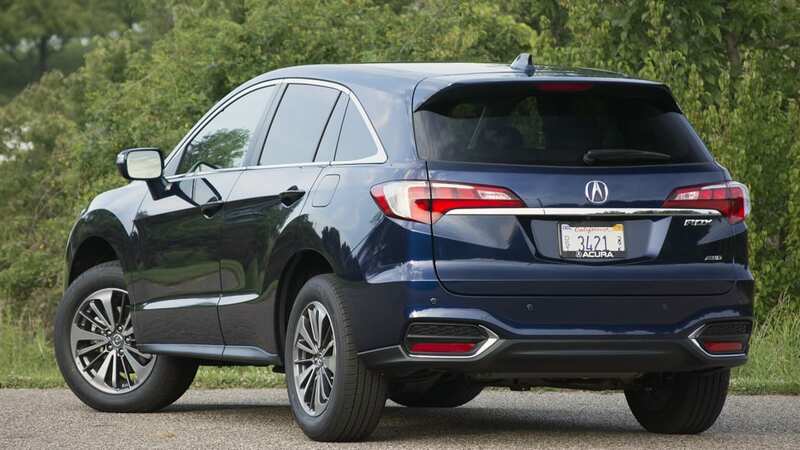 Following this mid-cycle revision, the RDX leans much more closely towards the crossover example set by the Lexus RX – that of the comfortable, relaxed, and finely appointed five-passenger cruiser. You'd never know it based on sales numbers, but the RDX is an excellent alternative to the all too popular Lexus.